Elemis therapists make it personal. All Elemis treatments are designed to support great skin health; we respect that skin is alive, No two people are the same nor are our skins. Each spa therapy that we deliver is personalised for results driven and experience. Some Elemis face and body treatments are suitable during pregnancy, this will be indicated next to each treatment. These treatments are suitable for anybody in the second and third trimester. Perfect for a lunch-time or early evening 'quick fix', these facials are uniquely designed for maximum results in minimum time. Add on your beauty essentials such as a manicure, wax or eyebrow shape for a complete package. We bring you the ultimate facial, combing the CACI ultimate machine with the best ingredients from our anti ageing range. Giving you instant lift and radiance in the ultimate facial. Powered by breakthrough technology this facial helps to restore the architecture of the face using the potent nutrients in plant activities found to support the extra - cellular matrix. Creates a profoundly sculpted, youthful effect. Suitable during pregnancy. Perfect pre-occasion treatment. Moisturisation levels are clinically proven to increase by up to 61% and elasticity by up to 40% after just 1 treatment. A nutritional boost, rich in superfood and essential minerals designed to pack stressed, dull skin with energising and detoxifying activities. Suitable during pregnancy. Clinically proven to reduce the number of wrinkles by up to 94% and improve skin firmness by up to 57% after just 1 treatment. 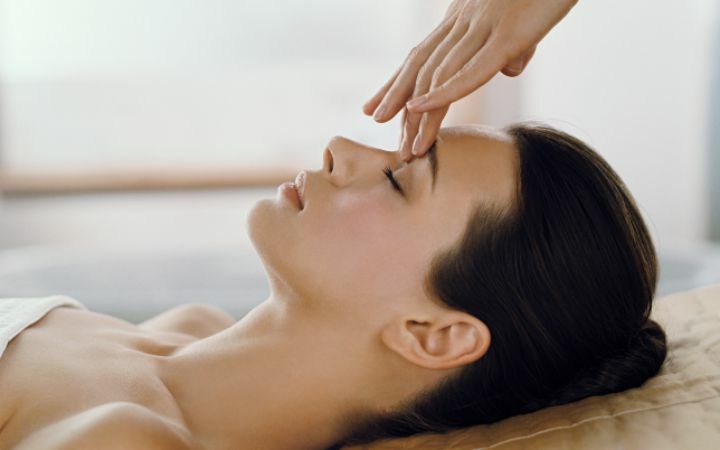 Targeted massage encourages optimum cellular function for nourished, younger looking skin. Suitable during pregnancy. Clinically proven to resurface by up to 75% and increase skin smoothness by up to 32% after just 1 treatment*. Pioneering precision layering of Tri-Enzyme serums, this unique treatment targets blemishes, uneven skin tone, superficial facial scarring and fine lines, revealing younger-looking skin. Suitable during pregnancy. Perfect for any skin type. Bursting with anti-oxidant rich minerals and vitamins, this de-stressing and purifying treatment helps remove damaging toxins, regenerate skin cells and balance sebum. The exceptional results are remineralised, rebalanced and renewed skin. Suitable during pregnancy. Gentle massage techniques combines with a restructuring Japanese Silk Mask soaked in Absolute Skin Calm Serum helps to rebalance delicate, fragile and sensitive complexions. Relieves redness and evens skin tone, offering immediate comfort to irritated skin. Suitable during pregnancy. Helps regulate and balance the function of the skin. Purifying massage techniques combined with the unique Japanese Sulphur Mask and Absolute Vita-C Serum, helps to absorb sebum, calm irritation and rebalance oil-rich pores, leaving a beautiful matte complexion. Suitable during pregnancy.